Beautiful renovated lake view cottage. The cottage has two bedrooms and one full bathroom. This authentic wood inspired cottage boasts the most amazing sunsets along the bay. 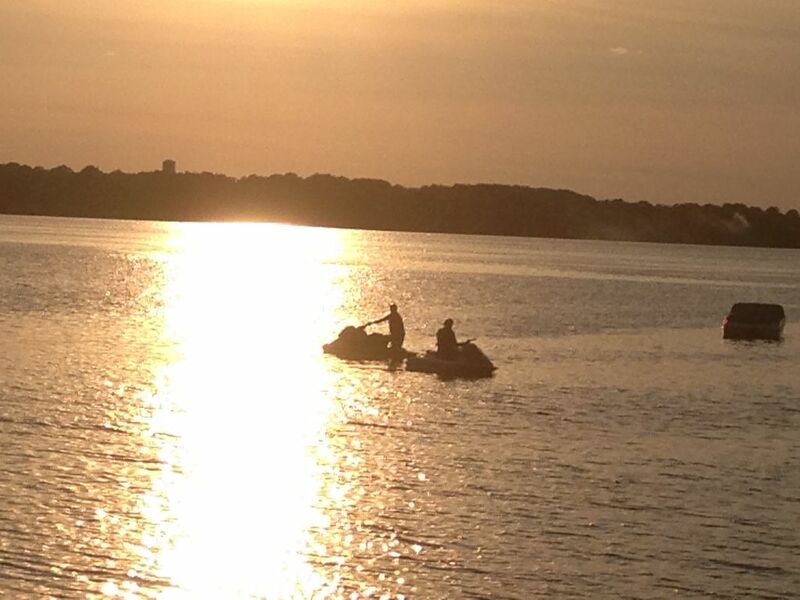 Bring your boat or sea doo as the lake is perfect to ride! Amazing area for fishing, water sports and a beautiful trail great for bicycling/walking. You will feel at home at this beautiful, cozy, clean cottage. Guests Allowed: Yes. No overnights unless a part of guest reservation. Contact us today! Email for more information. Welcome to The Little Paradise! Why the Owner Chose Waubaushene, ON, Canada: We enjoy the great outdoors and this location has everything we could ask for. Boating, hiking , trails for biking or walking , snowmobiling, atving , canoeing and kayaking . This place has everything outdoors that you could ask for. Very nice property, water lovely & beautiful sunsets!! Enjoyed our stay very much!! Owner's very nice. Lovely 2 bedrm cottage. Only problem not enough electric outlets & improper lighting. Very Difficult getting out of bed in Master bedroom. as no room to get out on side of bed as it's right up against the wall. Otherwise everything very nice, close to Victoria Harbour & Midland for shopping, restaurants etc. Great outdoor space and comfortable, cozy lodgings. Great location for touring the sights of Midland and Georgian Bay country - its perfect for day tripping. Close to local sights, short drive to beaches (e.g. Balm Beach), and steps away from easy bike trails/walking paths. Perfect place to explore the area. Does have a Million Dollar Sunset - but better to head to Balm beach if looking for a beach experience.